Posted On October 02, 2018 by Team iCynosure. If there is one name in the fields of MBA admission consulting and GMAT prep that commands respect, it is Experts’ Global. This firm was founded in 2008, by Mr. Mayank Srivastava, who holds an MBA from Boston University. The core idea behind the firm was to impart education, through technology. Thousands of students have benefitted from Experts’ Global’s international level GMAT training and MBA admissions prep, securing admits to some of the world’s best business schools. One out of every ten Indians studying in one of the US Top 50, have worked with Experts’ Global. The firm’s highly trained; highly motivated staff is extremely proud of the work that they do and the efficiency with which they do it. Let us explore the many ways in which Experts’ Global helps its students, achieve their goals. Experts’ Global’s GMAT prep program is the most complete, in the world. It has more than 300 conceptual videos, that explain the GMAT syllabus concepts, clearly and in great detail. It also has 4000 practice questions and 15 full-length mock tests. All of these practice questions and mock tests are hosted on a screen that has been designed to resemble the real GMAT testing screen, as much as possible. This program’s exhaustive analytics and insightful diagnostics put it years ahead of any other, in its field. As mentioned, Experts’ Global’s GMAT mock test series has a full 15 mock tests. This is more than twice what the typical mock series offers. These mocks are highly congruent to the GMAT. Firstly, their questions are perfectly in-sync with the GMAT’s. More importantly, the scoring system that the mocks employ is virtually identical to the GMAT scoring algorithm. This is evidenced by the thousands of students, who have reported that their final Experts’ Global mock scores are exactly the same as their GMAT score. This congruency, combined with the GMAT accurate testing screen, that the mocks are hosted on, provides a truly accurate GMAT experience. Experts’ Global’s GMAT prep program also has a live, classroom version. These weekend classes are conducted by Mr. Srivastava, himself. Mr. Srivastava has taken on the role of teacher, out of a sincere love of mentoring. As a GMAT 99th percentiler, Mr. Srivastava is intimately familiar with the GMAT and is eager to share his expertise. Every year, Mr. Srivasta’s students are left impressed by that expertise, as well as his dedication. One should bear in mind, though, that the batch sizes for these classes are very small. So the seats must be booked, well in advance. Now let us take a look at Experts’ Global’s offerings, as an MBA admissions consulting firm. Experts’ Global utilizes a boutique system. The firm only takes on a limited number of students but they train those students, very well. Uniquely amongst MBA admission consultants, Experts’ Global offers end to end admissions consultancy. 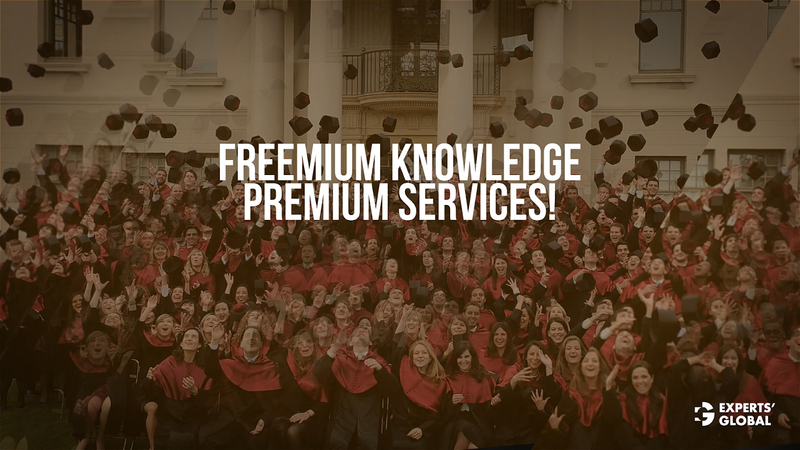 This means that the firm guides its students through every step of the admissions process. Most others specialize in only a select few aspects of the process. The quality of Experts’ Global’s admissions consultancy is obvious from its results. Since 2008 Experts’ Global’s students, have gone on to secure admits to every one of the world’s top 150 business schools. In India, every MBA admission consultant is guaranteed to encounter students targeting the ISB and Experts’ Global is no exception. In response to this demand, Experts’ Global’s admissions teams have worked hard; to develop a perfect understanding of the ISB’s admissions process. This hard work has clearly paid off, as 90% of their ISB aspirants have received interview calls. Many admissions consultancies offer interview training. Experts’ Global stands apart, in this field, due to the methodical and exhaustive nature of its training program. The training has a self-learning component and a mentorship component. The students begin their training by studying fifteen video essays that cover the fundamentals of MBA interview performance. This is followed by a series of mock interviews. These interviews are based on the answers that the student gives on an exhaustive questionnaire, of the most common MBA admissions questions. This training program has helped thousands of students, secure admittance to the school of their choice. Experts’ Global’s highly trained MBA admissions consultants and its world-class GMAT prep course have helped thousands of MBA hopefuls gain admittance to their dream schools. This firm is, absolutely, the best resource for those pursuing the GMAT, an MBA, or both.